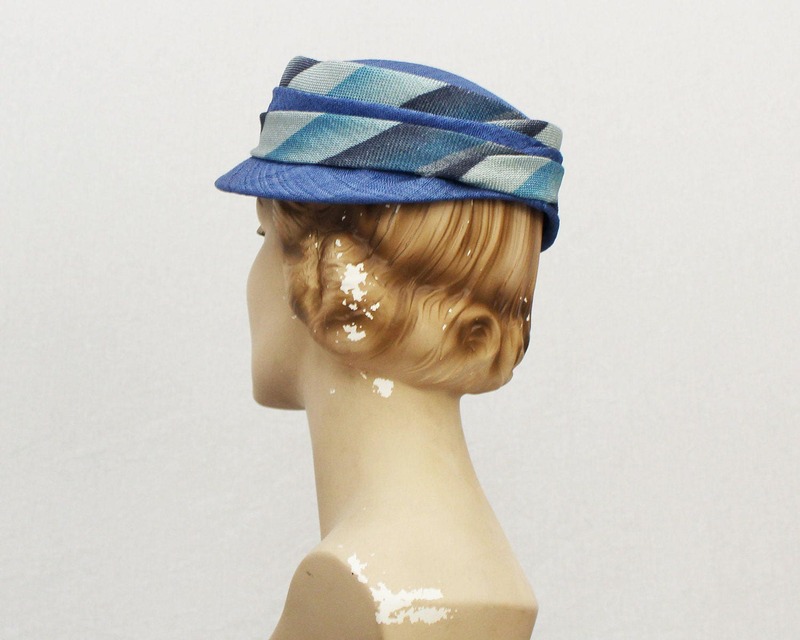 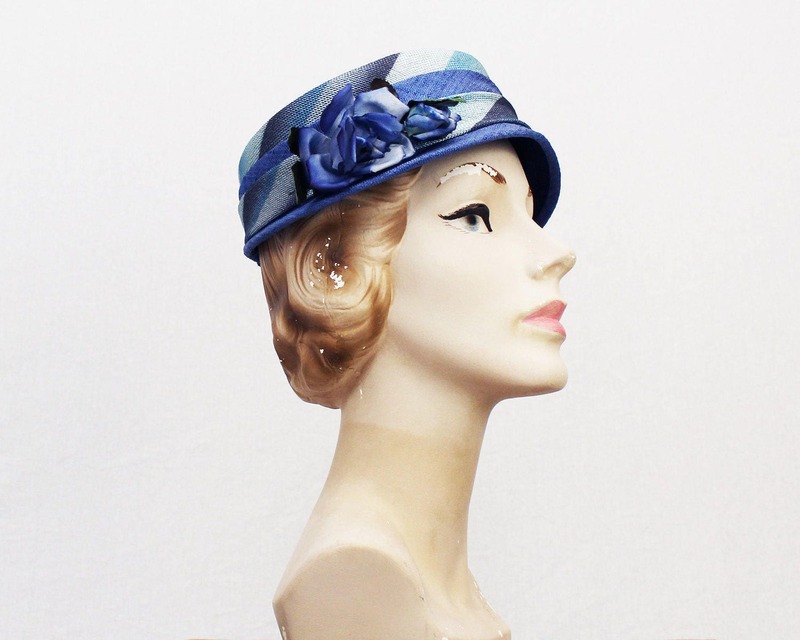 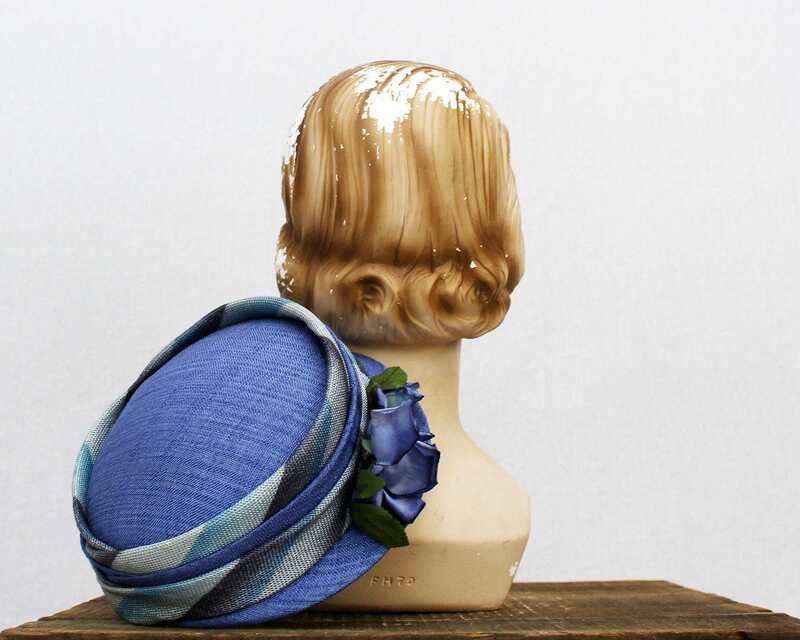 An absolutely perfect blue 30s hat with down turned brim of a cloche but the top of a boater hat, color blocking trim, and big blue flowers on one side. 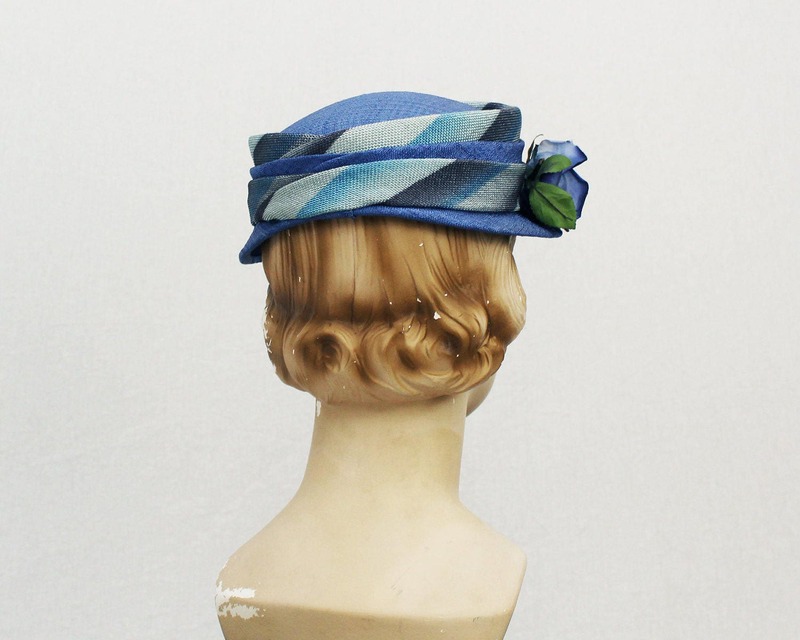 Inside is trimmed with grosgrain ribbon and is spotless. 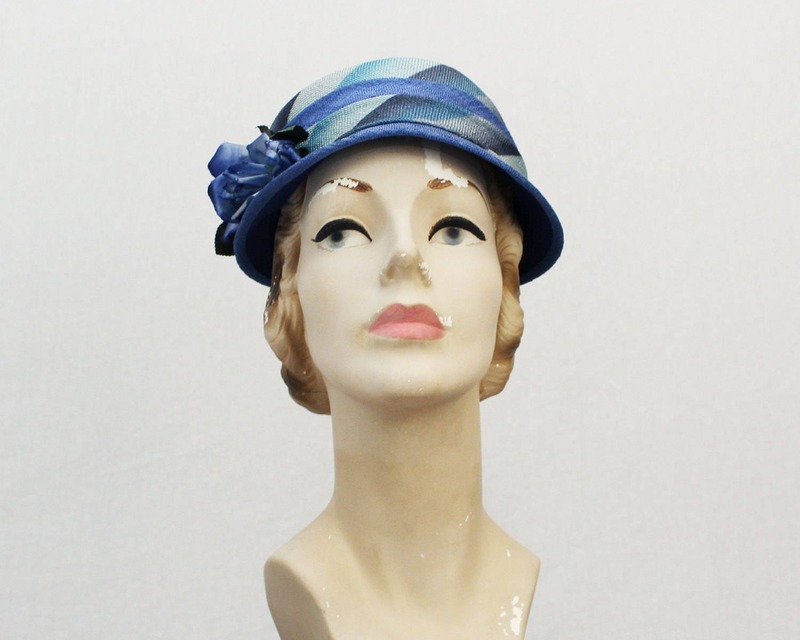 This hat has not been worn, or if so very little as it is in mint condition.